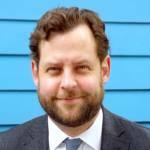 Chris Turner is one of Canada’s leading writers and speakers on sustainability and the global cleantech industry. He is also the author of the bestseller The Geography of Hope: A Tour of the World We Need, a Globe & Mail Best Book of the Year and a finalist for the Governor General’s Award for Nonfiction, the Alberta Literary Award for Nonfiction, and the National Business Book Award. His feature writing has earned seven National Magazine Awards. His most recent book, The Patch, is focused on Canada's oil sands industry. 1- Canadians must learn more about the oil sands since it is an industry that has taken a central role in how we discuss energy and climate policy in public fora and at all levels of government. 2- The oil sands industry is focusing its innovation efforts on achieving global competitiveness in terms of cost and carbon intensity since it knows that it will have to make both the climate case and economic case for its product. 3- Canada must take the international lead on climate change action, clean technology and renewable energy. Our considerable renewable and conventional energy resources, and our strong tech sector position us well. We must find ways achieving acceptance and collaboration by the industry and environmental groups to find ways to reconcile the oil sands industry with Canada’s climate goals. In your recent book The Patch about Canada’s oil sands you state that Canadians don’t really understand the oil sands industry, and you argue that it is important that the Canadian public know more about it. Why? The main reason Canadians need to know more about the oil sands is because this industry is taking a very central role in how Canadians are discussing energy and climate policy at just about every level of government. The debate is very intense and rancorous, and governments and individuals are taking firm stances for or against something that is actually not very well understood. So I think we owe it to ourselves – to Canadians – to learn a little bit more about where the industry came from, how it came to enjoy the success that it has achieved in the last quarter century, and also how it came to be so central to this larger climate and energy discussion that we’re having in Canada and around the world. What is the oil sands industry’s history of innovation, the factors that are driving it today, and the areas it is focusing its innovation efforts on for the future? In the case of the oil sands, there has been quite a lot of innovation within a fairly tightly prescribed set of parameters, which are basically directed at how we get this resource to market profitably. The oil sands, more so than all other oil and gas subsectors, has always had an innovative streak because it was such a technologically driven industry from its very founding. A lot of the innovation in the rest of the oil sector is focused on finding the deposits. But unlike most other oil industries, the oil sands has seen quite a bit of innovation focused on figuring out ways to profitably turn these deposits from sandy, sludgy stuff into marketable products that can compete with any other barrel of oil on the open market. Because of this, oil sands companies are probably better positioned than other companies in the oil industry to be a little lighter on their feet, to be willing to embrace change, because it has been very central to their business since they began. They have had to constantly upgrade, improve and increase the efficiency of their operations. So I think they really have been oriented toward innovation for a long time. Innovation is a very central existential question for the oil sands. Looking at innovation going forward, the first question, which comes in even before addressing issues related to climate change, is centered on price competitiveness: can the industry innovate to remain competitive in a world where the tight oil fracked in the US is coming online at a rapid rate? And then can it compete with other new technologies and new techniques for getting oil to market? Can it continue to innovate in order to compete in the global marketplace, even with the recent low oil prices and high volatility? The second question is about climate change: can oil from the oil sands be the least polluting barrel on the market in terms of its carbon-intensity? That’s where the industry and its companies like to see themselves going. Companies like Cenovus say they are moving toward producing barrels that are no more carbon-intensive than any other barrel of oil, but can they be the least carbon-intensive barrel of oil on the market? I wouldn’t be able to say definitively yes or no. But I know that that is increasingly understood in the industry as the necessary task at hand. Canada’s oil sands industry makes the case that there is going to be a lot of oil in the global energy mix for a long while to come. And there are 3 million or more barrels per day to come out of Alberta’s oil sands that the industry intends to make a part of that energy mix for as long as possible. A decade ago the underlying assumption in the industry was that the mission was accomplished if it could get oil to market at a profit. There is now a much clearer sense that that will not be enough and that the oil sands industry and its companies are going to have to make both the climate case and the cost case for their product. In terms of where the industry is heading technology-wise to achieve these goals, there isn’t as clear a strategy for that as I would have liked to see. One of the directions the industry identifies for its future growth – insofar as there is going to be future growth – is that its operations will transition to almost entirely insitu production. This means a greatly reduced focus on big oil sand mines, but a larger focus on Steam-Assisted Gravity Drainage (SAGD) and other technologies that are used to steam the oil out of the ground. In that technology area there is a lot of interest and excitement in reducing the amount of natural gas needed to create the steam, and possibly moving to something other than steam altogether. There are a number of different solvents and other kinds of technologies that a range of companies are currently testing. But what hasn’t yet happened is that none of them have seen a push significant enough, either from the cost or the climate side of their equation, to really roll any of those technologies out at commercial scale. These techniques are being worked on but are not yet ready for large-scale implementation. Another growing segment of R&D is centered on finding ways to use oil for products that are not necessarily fuels. Another is focused on seeing carbon dioxide as a raw production material rather than waste matter. Both of these approaches reduce carbon footprints and actually create whole new product streams. I think, though, that for the foreseeable future most of the world’s oil is going to be used as fuel and that’s what will define the market cost of a barrel of Western Canada Select, not the possibility that a portion of the barrel will be made into plastic or some other product. When it comes to the future of what the oil can be, certainly all options are on the table now, and I think there are people in the industry looking at just about every possible technological application they can to increase profitability and reduce waste. But right now, what oil sands companies primarily produce is fuel and everything else is a by-product. How would you characterize the national debate over the future of the oil sands, which has generally pitted the industry and environmental groups against each other? How must we change how we approach this conversation in the future? I would not call it a balanced discussion. The unfortunate thing that has happened is that the oil sands industry has become a proxy for all of Canada’s – and to some degree the whole world’s – oil problem. Because of that, the conversation on the oil sands, pipelines and everything connected to the industry, has become a very entrenched, binary debate. The issue has become, I think dangerously, a kind of litmus test whereby you are either on one side or the other – and there is very little middle ground. If you believe what Canadians say in opinion polls, most of us are actually in the middle ground. But that reality is not represented at all in the debate at present. In the long run I don’t think this serves either side terribly well. It has become an extraordinarily pitched battle, where both sides have the tendency to not give any ground, and to not be willing to consider the possibility of compromising to try and move toward some sort of acceptance or collaboration on some of these issues. The oil sands is an up-and-running industry that has received an enormous amount of public investment and generates considerable income that Canada’s economy is dependent on. We really need to be trying to find ways to work together and try to reconcile it with our climate goals. And we must understand that reconciliation does not simply mean that one side wins and the other side loses. Do you see major pipeline projects ever being built again in Canada, and how do you view the future of the pipeline debate and its politics in light of Canada’s Climate Plan? There is very significant political weight behind the idea of getting one more pipeline built. It would certainly be a huge loss if the current Liberal Government were unable to get that sort of return on the massive investment Canada has made in the oil sands. Also, the opposition has stated that the complete dismantling of the Liberal’s climate plan will be its first order of business should it get elected. So in order to receive another mandate and save its climate plan, the current government will probably seek to get cooperation from the BC Government on the Trans Mountain pipeline to export oil sands barrels to international markets. By and large, Canadians have said that they are willing to accept a pipeline project if it is accompanied by an ambitious climate plan that will actually achieve what it promises. The tricky thing is that in the midst of all this very acrimonious fighting at all levels of government, and between the industry and the environmental movement, and the public in general, clarity around that reality gets lost. If the Trans Mountain pipeline is built, I don’t think it will inevitably lead to other pipelines. Pipelines do not drive the growth of the industry. They enable and, in part, follow the growth of the industry in trying to improve its profits. Therefore, if Trans Mountain were to be built, that would probably leave the industry in a pretty good position based on current growth projections, which are pretty modest. And I don’t think there would be a lot of pressure for any additional pipelines. However, I do think there would continue to be pressure to build another pipeline if Trans Mountain does not get built. It is not just debate on the oil industry, but Canada’s entire climate change debate that has been reduced to whether you are for or against an oil sands pipeline. I don’t think the perspective of combating climate change is the best way for Canada to argue about the future of the oil sands and the pipeline. I don’t think that they are that critical to whether we do or do not achieve our national climate change goals. Even if we take the pipeline debate out of picture, reconciling Canada’s oil and gas production with our climate goals is a giant challenge – and it is going to be acrimonious and controversial, regardless. But the highest priority on the public agenda is addressing climate change in a meaningful, long-term way. What do you envision for Canada’s future, in terms of reconciling our economic needs with our environmental commitments and aspirations? Canada does need to be at the forefront of action on climate change. We do need to, and can be, a global leader in clean technology and clean energy. We have enormous advantages. We have extraordinary renewable energy resources, conventional energy resources, and a really strong tech sector – so we can do some impressive things in this regard. In the ideal scenario for the next 20 or 30 years, which I think is starting to emerge in the midst of this debate, we are going to be transitioning from our current energy system to one whose emissions are greatly reduced and is predominantly, if not exclusively, renewable-powered. But in the meantime, we will have a very profitable conventional energy sector. I would like to see Canada achieve the consensus needed to use some of the prosperity and wealth created by those natural resources to help pay for the energy transition through mechanisms like carbon pricing and various other programs. This would be the optimal way to ensure the energy transition is as smooth as possible. If we look at all the sources of GHG emissions in Canada, I don’t think the oil sands are the first place we should be looking at for reductions. From what I have seen and what I understand of the situation, those are not the lowest-hanging fruit in terms of reducing our carbon footprint and building a consensus behind climate action. Instead, I would focus on ensuring buy-in from provinces that have yet to fully sign-on to phasing out coal-fired power plants. I would also focus on the massive potential gains in terms of energy efficiency across the board. There is lots that can be done to simply use a lot less energy than we currently use. I am not arguing that we should just let the oil sands industry grow as much as it wants to. I do think the Alberta Government did the right thing in putting an absolute cap on oil sands emissions – effectively saying: “whatever else happens, the industry can not grow past this emissions footprint”. I don’t think this is the ideal solution, but it does allow for the space that is needed to either innovate or else let that industry decline. If you look around the world at other countries we consider successful in terms of how they approach the energy transition and the development of sustainable technology, you find that just about every jurisdiction has an issue or two that it is having difficulty getting around. Germany, for example, has made fantastic progress in terms of greening its electricity grid, increasing energy efficiency, constructing green buildings, and other similar initiatives. And yet Germany is saddled with stagnant or flat emissions rather than declining emissions. This is because the public sentiment in Germany against nuclear is so strong that they were obliged to phase out nuclear ahead of coal. This means that they are reducing emissions much slower than they could have if the German public were willing to tolerate nuclear power. I see that as the quirk of the German political culture and social attitude – that is the issue they are having trouble with. In Canada we are going to have difficulty coming to consensus on what to do about the fact that we are a major producer of oil and gas, and that those resources are still profitable to produce. And how we square that with what we want to do on the climate change front will be a crucial issue to resolve for our future.